Blend all ingredients until smooth. Pour into festive glasses. Garnish with whipped cream if desired! Matcha tea is an important beverage in Japan, used in traditional tea ceremonies and favored as an everyday, relaxing beverage as well. Before arriving in Tokyo, I understood that matcha was a popular beverage. What I didn’t understand, but have come to appreciate, is that matcha is also a popular food ingredient! Matcha tea is made from high quality green tea leaves. After the leaves are dried, they are ground into a fine powder (see photo above). 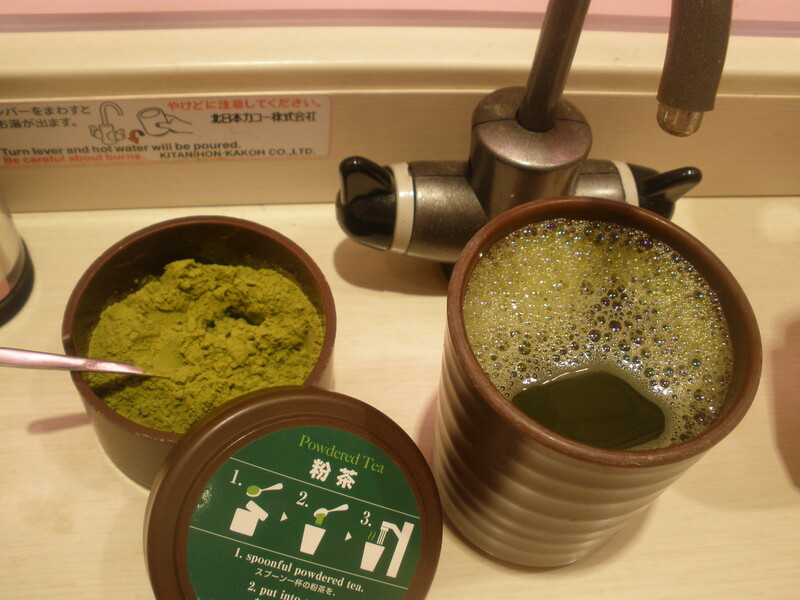 Small quantities of matcha powder are whisked (or just stirred) into almost-boiling hot water to make tea. Note that there’s no “tea bag” here – there’s nothing to remove from your cup. Instead, matcha is whole tea, where the leaves themselves are consumed instead of merely steeped. Why is this significant? For starters, drinking matcha tea provides significantly more antioxidants per cup because you are consuming the entire leaf. Remember, antioxidants are powerful little cancer fighters and anti-aging weapons! Also, matcha tea contains more caffeine that steeped tea, making matcha tea a nice substitute for a cup of coffee. Here in Tokyo, we’ve seen matcha powder used as a seasoning. 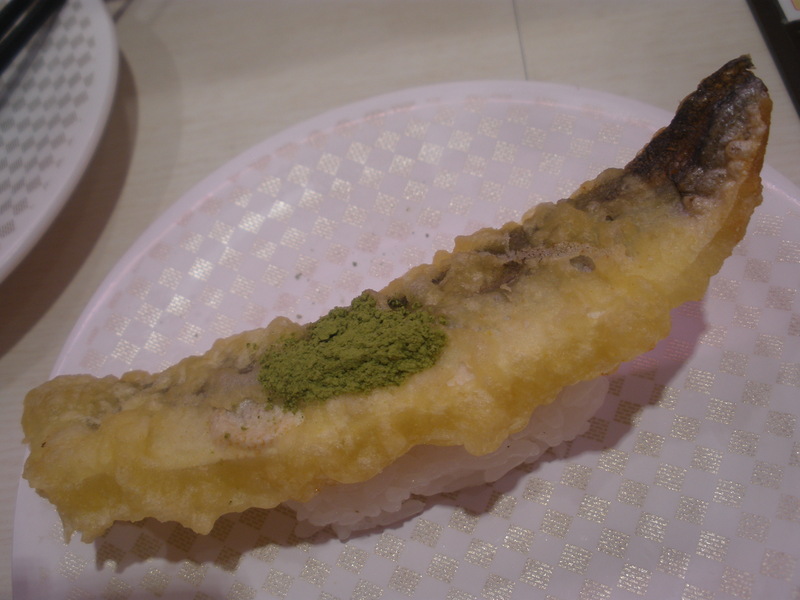 In the photo to the left, a lovely slice of barracuda tempura has been dusted with salt and matcha. Absolutely delicious! We’ve also seen matcha used to flavor Japanese interpretations of traditional French desserts. I’m reserving those photos, friends, because I plan to recreate a few sweet treats and bring you recipes here at Crowded Earth Kitchen. Stay tuned! Finally, matcha ice cream is quite popular here. 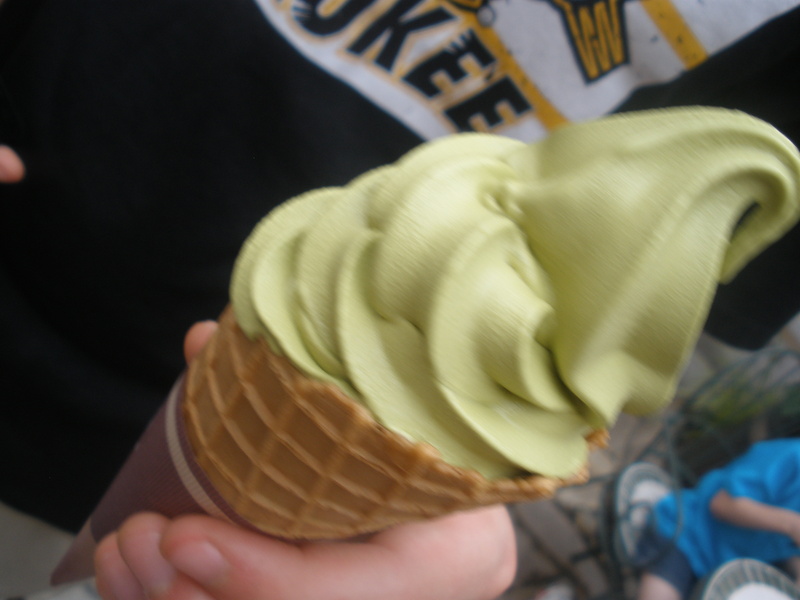 The matcha soft serve ice cream cone shown below is Half-Pint approved! Want to try matcha for yourself? Here’s a link for you! Matcha ice cream – YUM! Turmeric contains an amazing substance called curcumin, which is widely recognized as both a powerful antioxidant and a potent anti-inflammatory agent. Finding ways to work turmeric into your diet is an all-around good idea. There’s a catch, though – in order for your body to absorb that valuable curcumin, you need to consume turmeric with either a little black pepper or a bit of fat. Today’s recipe for a simple Turmeric Springtime Smoothie is designed to introduce turmeric to those unfamiliar with this little root, and contains ingredients designed to aid in curcumin absorption. Did I mention this Turmeric Springtime Smoothie has an awesome tropical flavor? What are you waiting for? This just might be the easiest item to prepare on your entire party buffet… and the most popular! Who doesn’t love a good Bloody Mary? Sure, the spicy, tomato based vodka beverage is tasty, but everyone knows the best part of a well made Bloody Mary is the garnish. Here at Crowded Earth Kitchen, we ran with that idea and created Inside Out Bloody Marys. The beverage itself is shot sized and potent, accompanied by an assortment of excellent pickled vegetables. Rock On! OK, friends – this is easy enough to prepare even if you’ve already enjoyed a full size Bloody Mary or three. 😉 Begin by arranging your relishes in the center of a party platter. If you want more than three options, go for it. Try thick slices of dill pickles, ginger pickled carrots, garlic stuffed green olives, rosemary pickled cherry tomatoes, etc. Next, arrange your shot glasses on the outer edge of the party platter. Fill your shot glasses half full with chilled vodka, and top with chilled Bloody Mary mix. Serve immediately! Gossiping with my little sister over cocktails isn’t something I get to do everyday – she lives almost 700 miles away, probably because I was bossy as a child. 🙂 In all seriousness, rare afternoons with my little sis are fun! 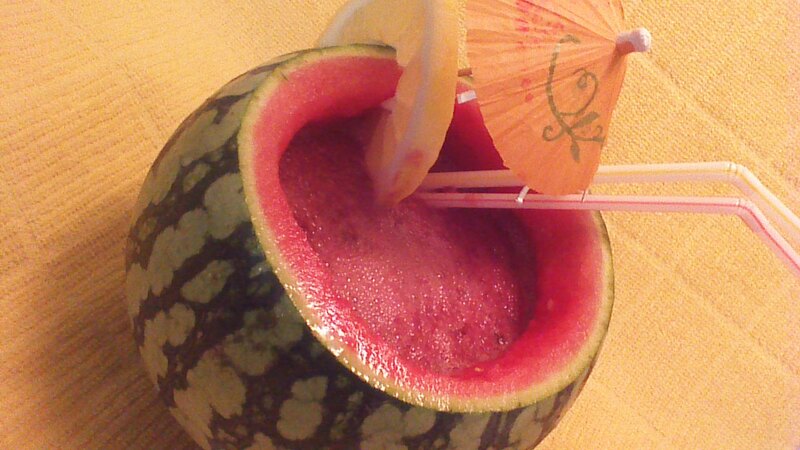 On our most recent visit, we enjoyed this Frozen Watermelon Sangria. I think you’ll enjoy it, too! Step 1) Set watermelons on a countertop to see how they naturally balance. Cut a thin slice off of the top (parallel to the countertop) of each watermelon. Carefully scoop out the insides, placing the watermelon flesh in a blender. DON’T GET CARRIED AWAY – if you accidentally puncture the watermelon rind, you can’t use the rind as a serving cup! 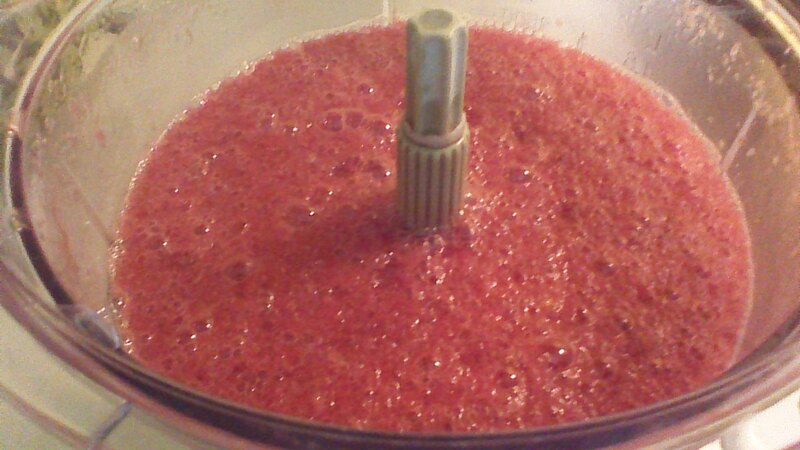 Step 2) Add wine, triple sec, and lemon to the blender. 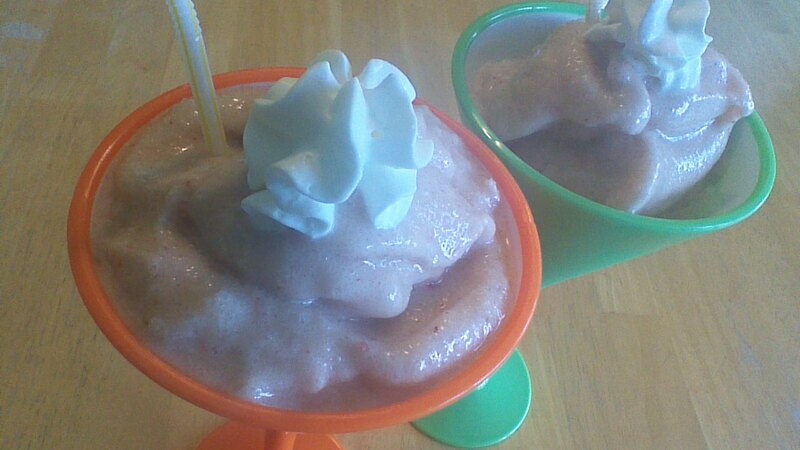 Add crushed ice to fill the blender, and blend until the mixture resembles a pink slush. If mixture is too thick, add a bit of water, orange juice, or wine. If mixture is too thin, add more ice. 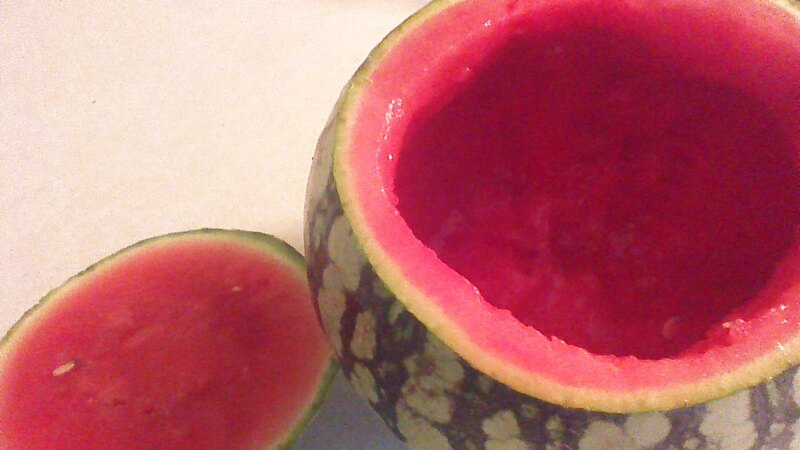 Step 3) Pour mixture carefully into watermelon shells. Garnish with citrus slices (and an adorable little umbrella if you have them on hand) and serve immediately! I have a sister who has a talent for mixing drinks. When she shakes something up in her kitchen, it looks and tastes like a beverage you’d pay a high price for in a fancy bar. I’ve asked her for her bloody mary recipe so many times that she has threatened to charge me next time… I think she means it. 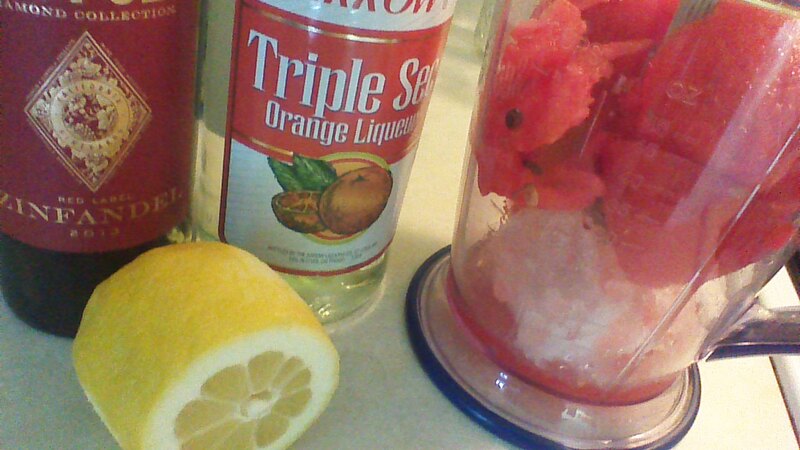 This summer, rather than driving my sister crazy, I’ve decided to channel my inner mixologist and have some fun! With fresh herbs and ripe fruits readily available, even I (a bartending rookie) ought to be able to make something tasty, right? 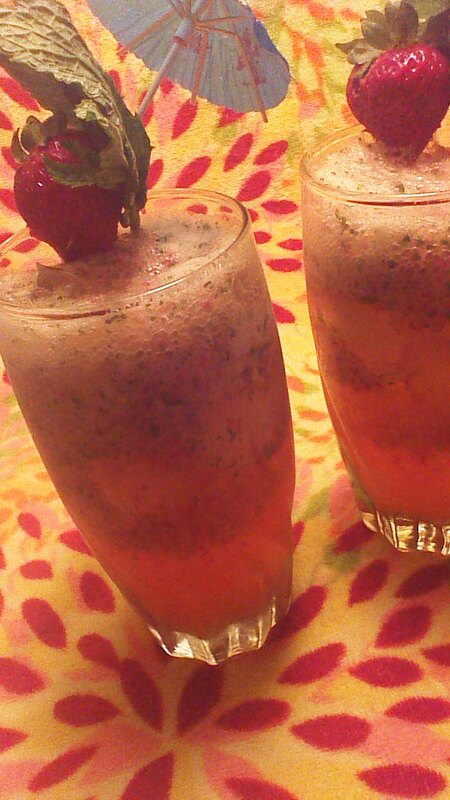 These Strawberry Mint Mojitos are delightful – let me know what you think! 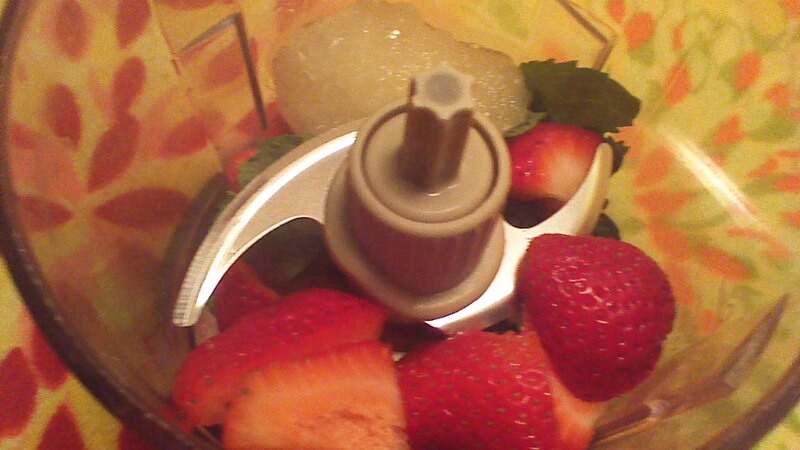 Step 1) Pulse strawberries, mint, rum, and limeade concentrate in a small food processor or blender until well blended. Step 2) Pour over ice into two tall glasses. Top with seltzer water and stir quickly. Step 3) Garnish with a strawberry, a mint leaf, and an umbrella (of course!). Serve immediately.